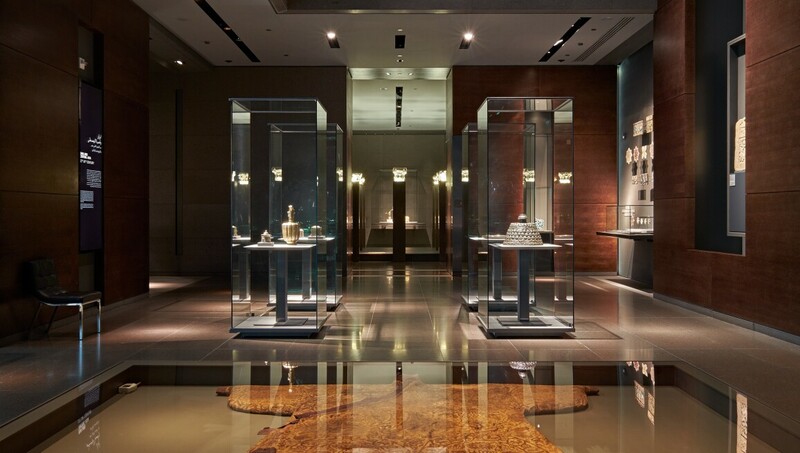 The Museum of Islamic Art, in Cairo, Egypt, is considered one of the greatest in the world, with its exceptional collection of rare woodwork and plaster artefacts, as well as metal, ceramic, glass, crystal, and textile objects of all periods, from all over the Islamic world. In recent years, the museum has displayed about 4,500 artefacts in 25 Halls, but it houses more than 100,000 objects, with the remainder in storage. The collection includes rare manuscripts of the Qur'an, with some calligraphy written in silver ink, on pages with elaborate borders. The Museum has conducted archaeological excavations in the Fustat area and has organized a number of national and international exhibitions. The museum closed for renovations in 2003, and re-opened 8 years later, in August 2010. The restoration cost nearly US$10 million.